Cystic fibrosis is a critical illness that typically affects children and young people and has a life expectancy (on average) of about 37 years. It is considered a critical illness and it impacts various parts of the body, predominantly the lungs and digestive system. 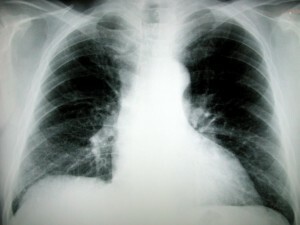 Cystic fibrosis is a result of a gene mutation. This mutated gene must be contributed to a child from both parents in order for the disease to appear. According to Cystic Fibrosis Canada, one out of 3,600 children born in Canada inherits this disease and it’s more common among people of Northern European origins, and least common in Africans and Asians. Cystic fibrosis life insurance is something that should be considered, but, unfortunately, this protection is not available to everyone suffering from this disease. The US National Library of Medicine states that the mean annual health cost for treating cystic fibrosis is approximately $10K per year for mild cases, $25K for moderate cases and $34K for severe cases. The lifetime costs add up on average to approximately $306K – hence the limitations on cystic fibrosis life insurance. Not everybody can qualify for cystic fibrosis life insurance coverage – it is mostly younger people or children who would be able to qualify for the coverage. Adult cystic fibrosis is quite rare and thus is often not covered; According to LSM insurance, one of the leading Canadian life insurance brokerages, it is not an approved illness on any adult critical illness policy available in Canada. Several companies, however, cover cystic fibrosis via children’s CI policies (Critical Illness policies) to a maximum age of 18, 21, or 25 — depending on the carrier. A few of the companies that cover it are Great West Life with a unique critical illness insurance plan for children called Child Oasis, or Desjardins with their Harmony New Generation Critical Illness plan for Children. Having a critical illness plan that includes a cystic fibrosis life insurance caveat for children means that a parent as a policy holder would receive one lump sum which can be used for different purposes e.g. for kid’s treatment. Some providers also offer some refund of premiums if children were not diagnosed with a critical illness. An experienced life insurance broker can navigate you through potential options for cystic fibrosis life insurance or any other alternatives depending on your needs such as best funeral insurance options if you are looking for insurance coverage for final expenses. InsurEye can connect you (Canada-wide) with independent insurance brokers who have experience with cystic fibrosis cases. The main advantage of using a life insurance broker is that he/she is able to compare for you policies and offers across multiple insurance companies, whereas an insurance agent typically works for one company only and thus can not provide any comparison.